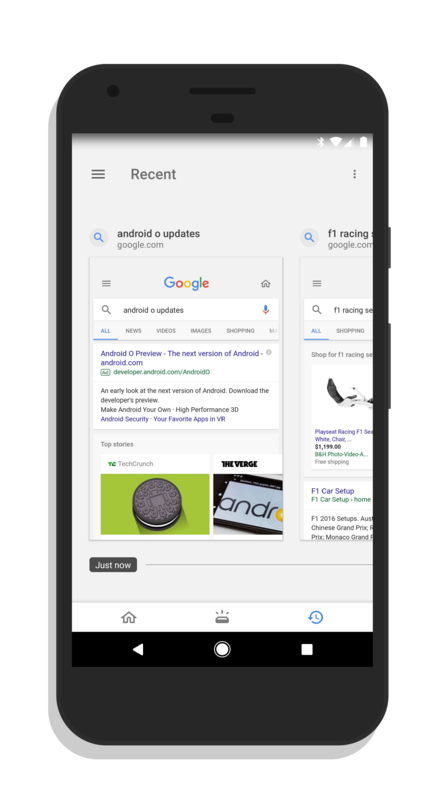 Google has been working on the the Google app for Android a lot in recent weeks, with the most notable change coming last week with the introduction of Google Feed. If you aren’t up on it, basically the Feed is similar to the features are found in the Google Now Launcher and Pixel Launcher, but it gives you more relevant information based on your searches and location. It is more dependent on Artificial Intelligence to give you information that is more important to you. There is now a new feature in the Google Feed feature: Recents. Now you have a third tab that shows you your recent search history on your device. You can simply swipe left and right to see the history and tap on a result to go back to that site to continue reading it. wading through your searches can be difficult and time consuming. This feature is aimed at making the whole processes easier and faster. There is nothing you need to do other than make sure you have the latest version of the Google app installed on your phone or tablet. This is a server-side change that is rolling out so once it gets to you, you will have it.